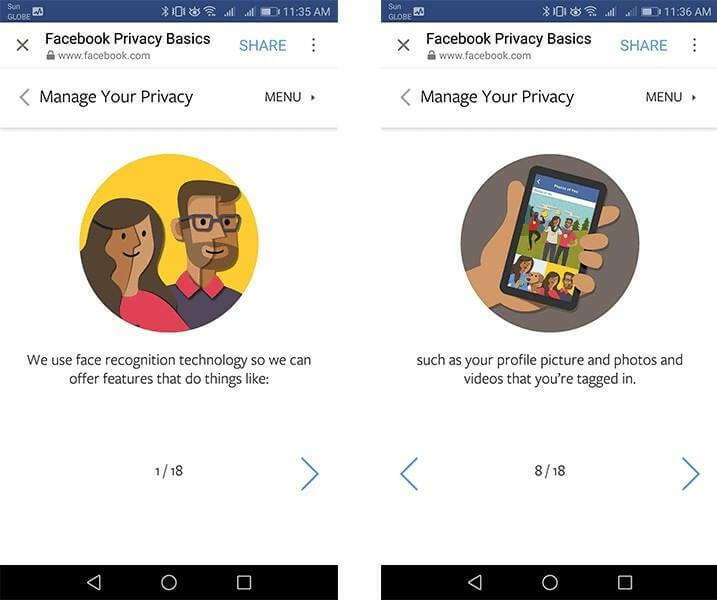 Facebook is introducing some new features that will take advantage of Face Recognition. This will include finding photos of you, privacy protection and more. Face Recognition has been used by Facebook for suggested tagging for people in photos. Now, they are looking to expand on that and add more features. The first one if for it to be used for finding photos that you are in but haven't been tagged yet. For example, you went to travel with your friends and they uploaded a whole album of your travel, Facebook will use Face Recognition to help your photos of you that are not tagged yet. Also Read: Facebook Messenger Kids Now on Android! In addition to that, Facebook also wants to protect you from strangers using your photos such posers and scammers. A lot of people use other people's photos as profile pictures to do a lot of bad things such as identity theft and fraudulent activities. Facebook will help find those photos and verify if it's your profile or not. The third new feature will help people with visual impairments recognize who is in the photo or video you posted No need for them to struggle in deciphering who is in the photo or video as Facebook will do it for them. You are in complete control of the Face Recognition feature. Initially this setting and features are automatically turned on but can be turned off anytime.